Our commitment to service is just one of the things which has made AOE a name to be trusted. 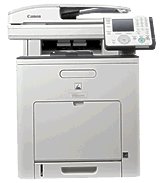 Our professional staff is well equipped to serve and provide you with the necessary information to make the right decision, regarding your office equipment. At AOE, We believe that the key to a successful business is putting the customer first. AOE wants to make cartridge recycling easy and advantageous for our customers.